16 Unusual And Creative Dollar Bill Inspired Products. 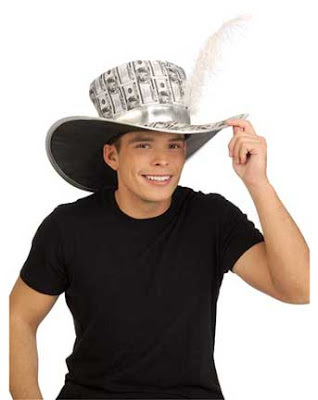 Collection of ‘Unusual And Creative Dollar Bill Inspired Products’ from all over the world. 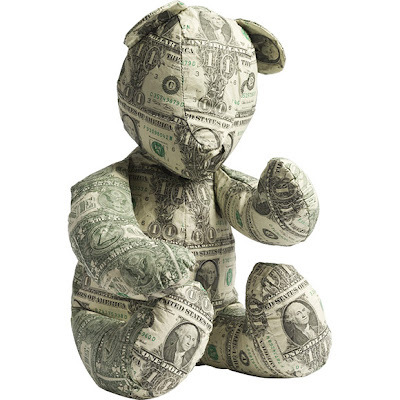 Dollar Teddy Bear: This 12" tall teddy bear is sewn entirely out of genuine U.S. dollar bills, it has no eyes, no mouth, just old dollar bills. 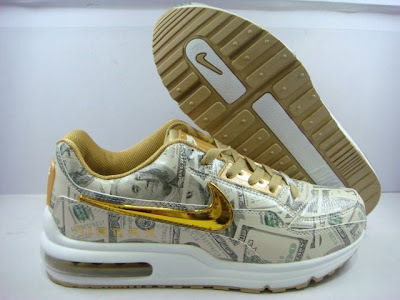 Air Max's Dollar Print Trainers: These attractive, high performance trainers have the unique design of the dollar print all over the shoes. 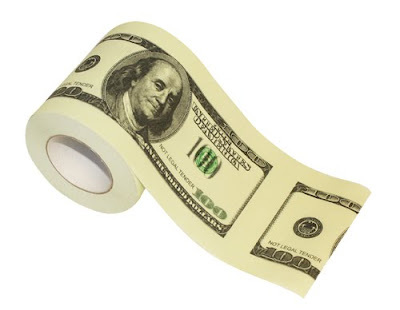 Money Toilet Paper: If you are wealthy enough then you can always use dollar bills when you run out of regular toilet paper. If not you have an affordable alternative, toilet paper featuring images of dollar bills. 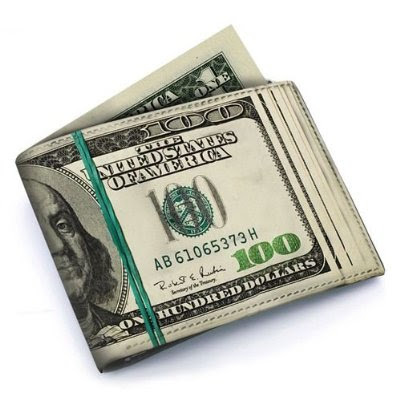 One Hundred Dollar Bill Wallet: Create the illusion of wealth by simply keeping this wad of realistic 100 dollar bills into your back pocket. 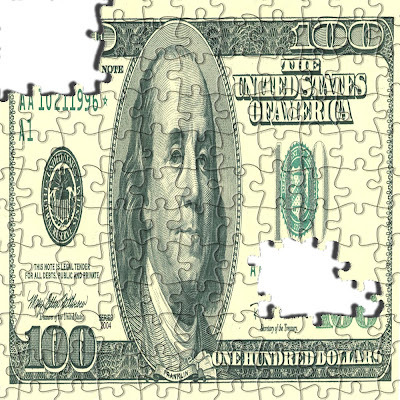 $100 Money Puzzle: Its over 260 pieces and when put together shows the image of the $100 bill. 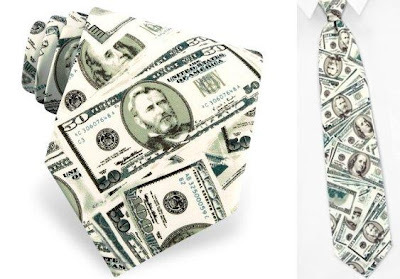 Dollar Bill Tie: This tie surely goes with everything, it features 100 and 50 dollar bills. 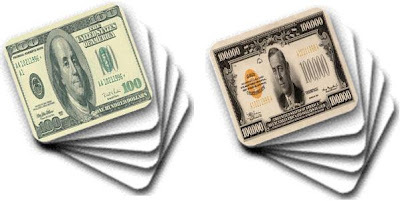 $100 Money Mousepad: This mousepad presents a large sized image of the $100 bill. Enjoy the joys of big money while at your computer. 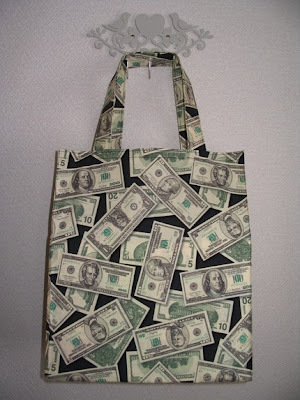 Mr. Moneybags Shopping Bag: Eight one-liter cartons of milk can be placed perfectly inside this bag, with plenty of space to spare in this 100% cotton bag which measures 4x2 inches (10x5 cm) when rolled up and 11.5x16 inches (29x41 cm) when flat. 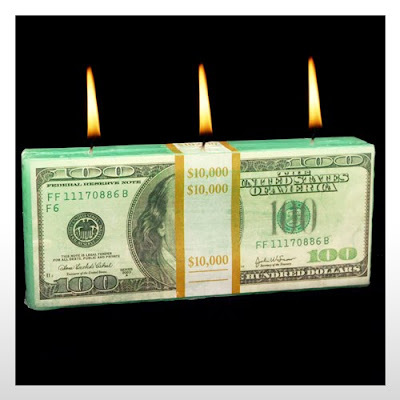 Money Candle: This 6" x 2.5" x 1" candle looks like a bunch of $100 bills held together with a money roll, but on a closer look you will find that this bunch of money is really a fun candle. 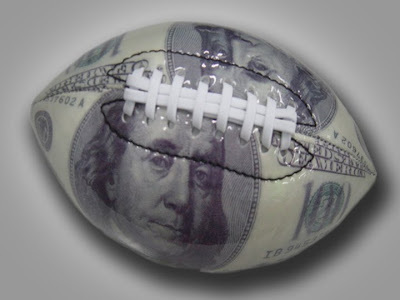 Nine inch Money Football: How about kicking a ball of money? This is a 9 inch vinylfootball with the image of the $100 design. 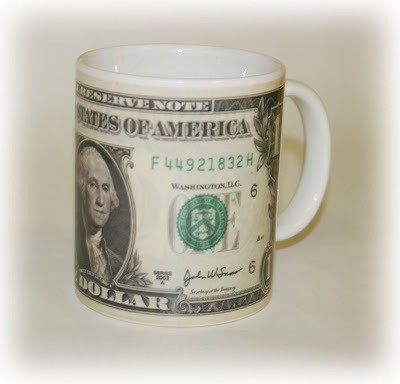 $1 Money Cup: Now you can show off most widely used note in the U.S on your cup to everyone around. $100 Money Magnet: This new glossy $100 note is an exact scaled down version of the real thing; it looks perfect on your refrigerator or other metal surface. 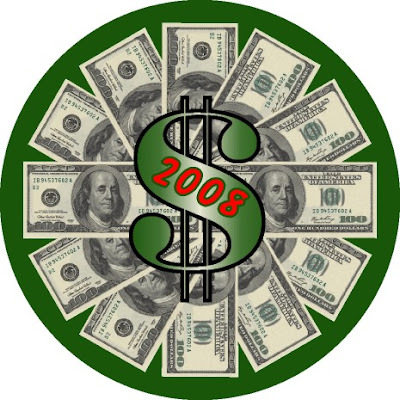 $100 Bill Clock: This clock seems to be perfect for everyone who knows that time is money. $100 Beach Towel: It measures 30 X 60, with this towel you can wrap yourself in money. 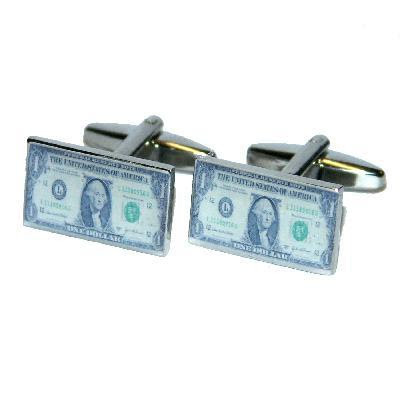 Dollar Bills Cufflinks: Best suited for businessman.